Please join us to visit with Tim Rinkoski, Sales Director for Crystal Cruises. Did you know they have ocean cruises, river cruises, yacht cruise, and new ships coming and air cruises, too? PLEASE RSVP – SEATING IS LIMITED! Big, big news for cruise lovers! If you love luxury cruises, you need to read this! It’s been some time, 12 years to be exact, since Crystal Cruises added new products to its fleet. Enter a new owner with grand vision and a keen sense of the consistent luxury experience offered by Crystal and, voila, the beloved winner of best luxury cruise line year after year will add: 3 1000-passenger ships, to arrive in 2018; 2 new luxury riverboats, debuting in 2017; a new Boeing 787 airplane to be designed to hold only 60 passengers instead of the usual 300 and offering 28-day itineraries, and a 62-person yacht, the Crystal Esprit, which will begin sailing in December, 2015. “We really came up with a global strategy to become the world’s premier luxury, hospitality and lifestyle brand portfolio,” Rodriguez told USA Today. The CEO also said that the new offerings were decided upon based on current Crystal customer demand. 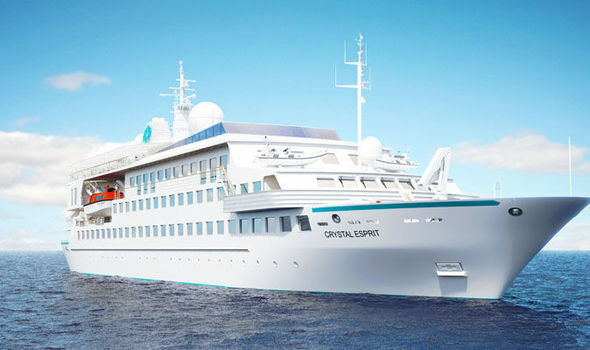 Have you experienced Crystal Cruises? I am very excited about the broad offerings of this brand. What do you think about the expansion?